There is no doubt that as president, Donald Trump will set NASA back on track towards sending Americans to the Moon and Mars. 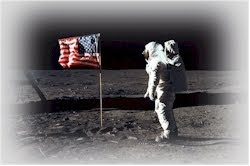 The Obama administration cancelled without replacement all plans to return to the moon and go to Mars. We lost at least eight years, and gave China and Russia a similar head start. Thankfully, Congress refused to cancel the rocket that can take us to the Moon and Mars, and in the FY 2016 budget has mandated building a transit habitat for long-duration missions such as the Mars-Venus flyby and for Mars landings, offering the new administration the ability to get busy with little delay. In just eight years in the 1960s, we went from Project Mercury to landing on the Moon. In one decade we built the International Space Station. In one decade from today we could have a Lunar base, and in less than two decades we could make history with a Mars base. President Trump must direct NASA to cancel the "Asteroid Redirect Mission (ARM), and replace it with the 2021 Mars-Venus flyby. This would be the kickoff mission for a renewed space program which would put us on a real "journey to Mars." It is important to contact President Trump; advocating a return to a bold space program worthy of the United States, and to avoid merely watching as China and Russia seize the lead in space for a generation. 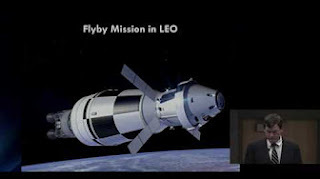 Suggest they use the flyby as the replacement for the ARM, and as the immediate goal for NASA while they develop the long range space strategy. Restoring America's leadership in space must therefore become a part of NASA's mission. There are different 'selling points' for the space program which will resonate. Restoring the legacy of JFK's leadership, creating many new high tech jobs, spin-off advances in green energy and environmental technologies. National security concerns from ceding space to the tyrannies, undoing the damage the current president did to our future as the leader in space, advancing U.S. high tech competitiveness, making America great again, and restoring international respect and national prosperity.